A little while after Kate and I went to Boston to see the Red Sox, her mom took us down to New York City to see the Yankees! I thought that Fenway Park was cool. But Yankee Stadium is really neat! It was great to finally see the place where the Yankees play. They’ve won the World Series so many times, I can’t even count them. We were in New York for a weekend series. The weekend started off with a press conference. We had to go because Kate’s mom needed to be there for her work. It was boring! I like to play and watch baseball. But I don’t like to sit around talking about it! That’s all they were doing. Until someone mentioned the ghost! That’s right. People said there was a ghost in Yankee Stadium! Kate and I both started paying attention after that. We found out, with some help from her mom, that people had reported hearing a ghost in the stadium before games. They thought it was the ghost of Babe Ruth. He used to play for the Yankees. Kate and I decided to find out if there really was a ghost. That’s when things started to get really scary. Things moving on their own. Loud noises. It looked like there were ghosts all around us! It ends up turning out okay, but you’ll have to read the book to find out everything that happened. 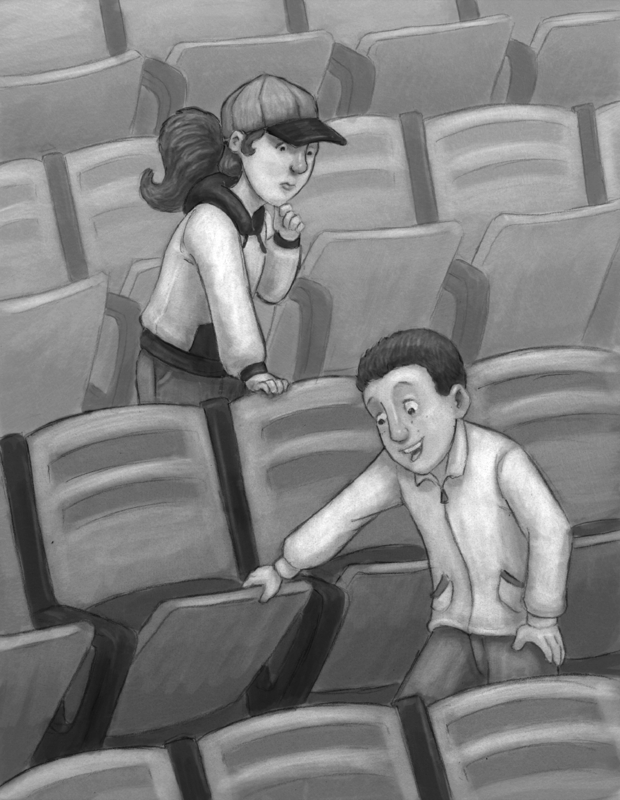 ← The Ballpark Mysteries Books Arrive!